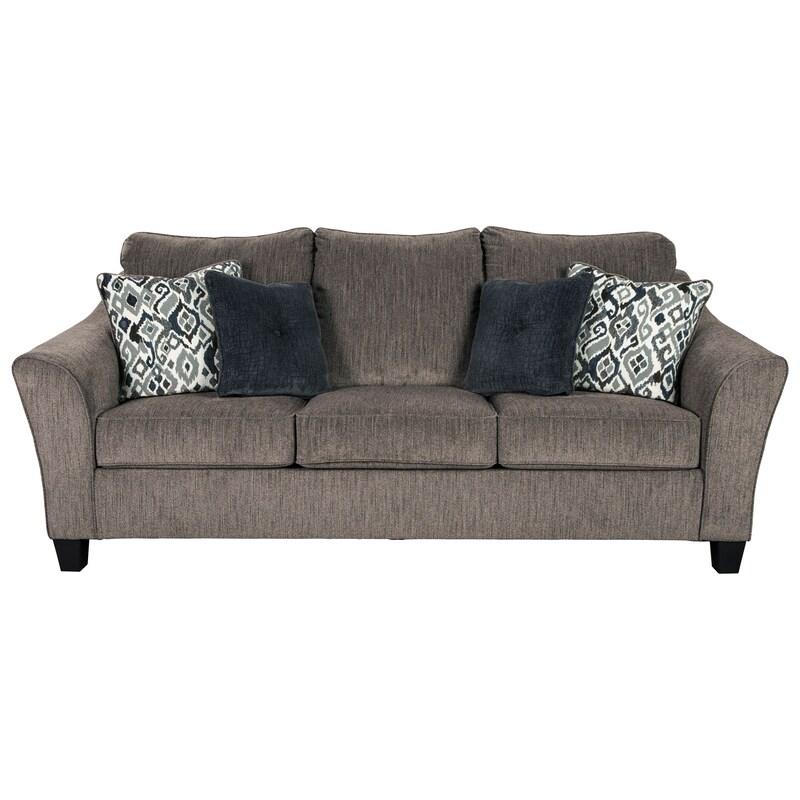 Bring casual comfort to your room with this transitional sofa. The neutral, on-trend color is versatile and the clean lines of the flared arms gives the simple silhouette its sophistication. Whether you are looking for comfort or to entertain, this sofa has you covered. The Nemoli Transitional Sofa with Flared Arm by Signature Design by Ashley at Michael's Furniture Warehouse in the San Fernando & Los Angeles area. Product availability may vary. Contact us for the most current availability on this product. 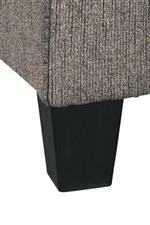 Padding & Ergonomics Cushions are constructed of low melt fiber wrapped over high quality foam. 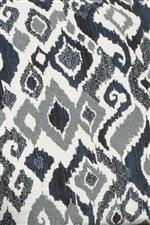 Non-reversible loose back and seat cushions. Clean lines and a trendy color make this living room collection the ultimate addition to your home. Whether you are redecorating or buying for the first time, these transitional furniture pieces are versatile and will match many different home decor styles. The Nemoli collection is a great option if you are looking for Transitional Contemporary furniture in the San Fernando & Los Angeles area. 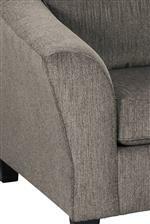 Browse other items in the Nemoli collection from Michael's Furniture Warehouse in the San Fernando & Los Angeles area.